What to look for in a used car? Why Check Engine light is on? 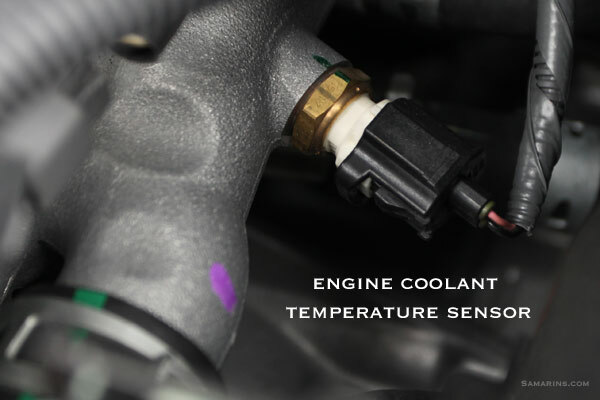 The OBDII trouble code P0128 - Coolant Temperature Below Thermostat Regulating Temperature means that the engine does not reach expected temperature after running for sufficient time, or in other words, takes too long to warm up. Often this code causes the Check Engine light to come on and off in cold temperatures. Checking the engine temperature with Torque app. 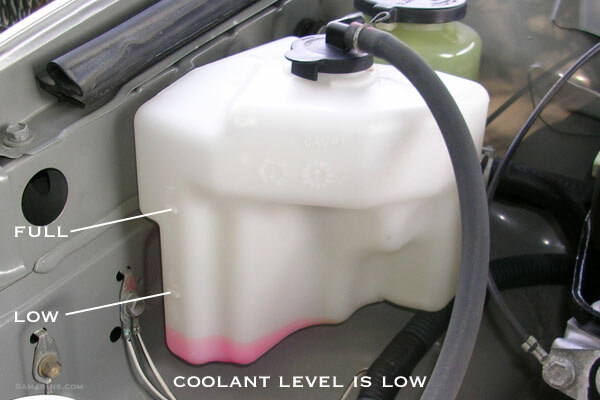 First, a basic check under the hood must be performed: is the coolant level OK? 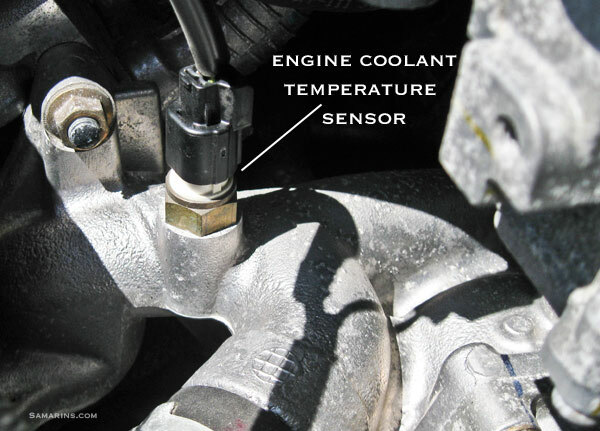 Is the engine coolant temperature sensor connector free from corrosion and plugged in properly? See the photos below. The next step is to see if the engine temperature sensor is working correctly. 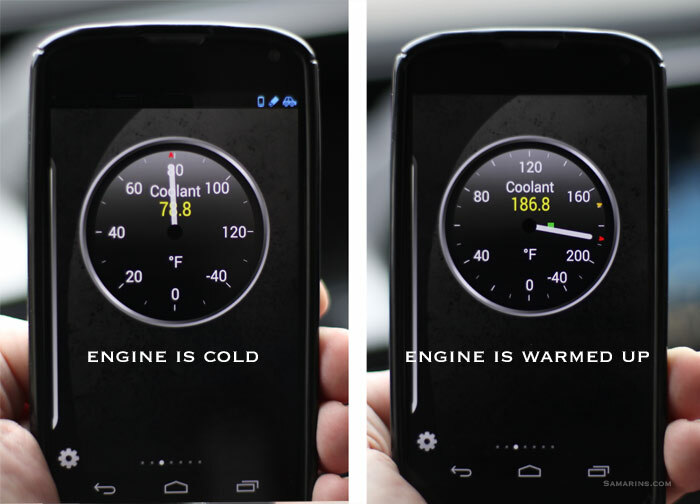 If you have a scan tool with live data, check the engine temperature when the engine is cold, it should be close to outside temperature. Drive a car for 10 minutes and check the engine temperature again, it should be close to 180-220°F or 82-105°C. See the photo. Without a scan tool, the engine temperature sensor can be tested with an ohmmeter. The resistance across the sensor terminals should change with the temperature according to the chart that you can find in the service manual. Testing the thermostat is difficult, as it may work most of the time, but sticking intermittently. In most cases, whenever the code P0128 is present, the thermostat is replaced. In some cars, however, the problem could be solved by reprogramming the engine computer (PCM) with an updated software. This can be done at your local dealer and costs from $80 to $120 if out of warranty. See common problems below.